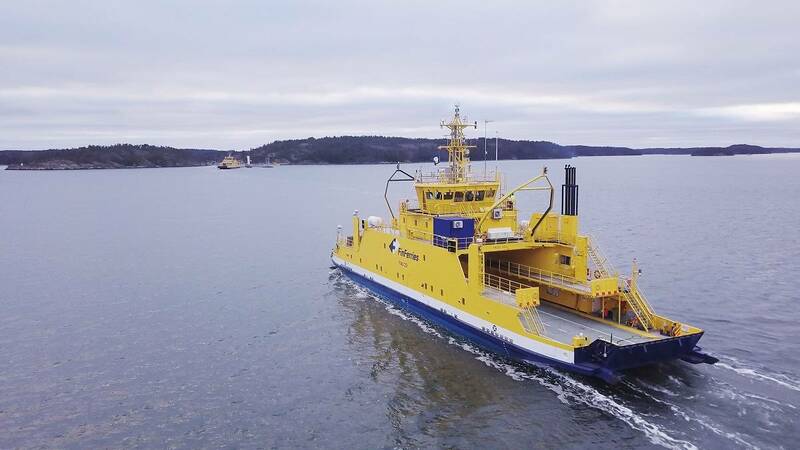 Rolls-Royce and Finnish state-owned ferry operator Finferries have successfully demonstrated the world’s first fully autonomous ferry in the archipelago south of the city of Turku, Finland. During the demonstration, the Falco, with 80 invited VIP guests aboard, conducted the voyage under fully autonomous control. The vessel detected objects utilizing sensor fusion and artificial intelligence and conducted collision avoidance. 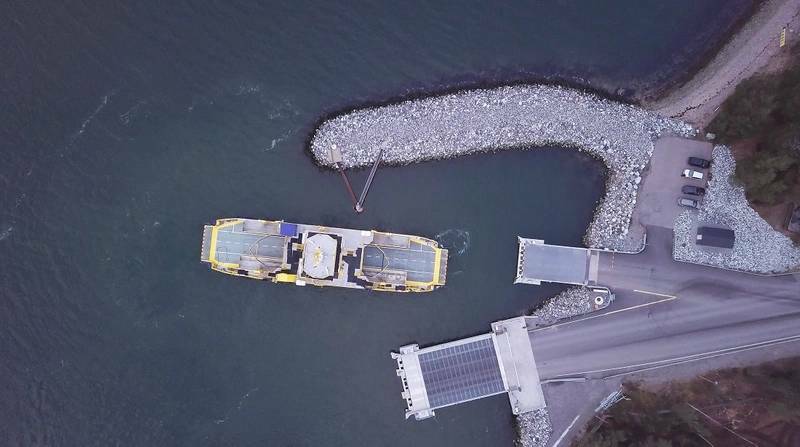 It also demonstrated automatic berthing with a recently developed autonomous navigation system. All this was achieved without any human intervention from the crew. The Falco is equipped with a range of advanced sensors which allows it to build a detailed picture of its surroundings, in real time and with a level of accuracy beyond that of the human eye. The situational awareness picture is created by fusing sensor data and it is relayed to Finferries’ remote operating center on land, some 50 kilometers away in Turku city center. Here, a captain monitors the autonomous operations, and can take control of the vessel if necessary. The Falco is a 53.8 meter double-ended car ferry, which entered service with Finferries in 1993. It is equipped with twin azimuth thrusters from Rolls-Royce.